This week was a busy week back after a week being gone in Harare.It’s also the end of the month so we are doing end of month reports in between seeing patients and doing procedures!No visitors here to help me get the paper work done! The doctors in the country went on strike on 1-March-18.Since we are a mission hospital we don’t go on strike and so we have seen an increase in patients who are being turned away at hospitals through out the country.We had to transfer a patient yesterday and Major went to our local district hospital and it took him over an hour for someone to take the patient and then others were asking him to take them to Chidamoyo since they had been admitted for days and no doctor had seen them!The hospitals are in chaos as only the Administration is working and trying to keep things going.They are supposed to attend to emergencies, but not sure what they call emergencies since some of the people who came here were very sick. 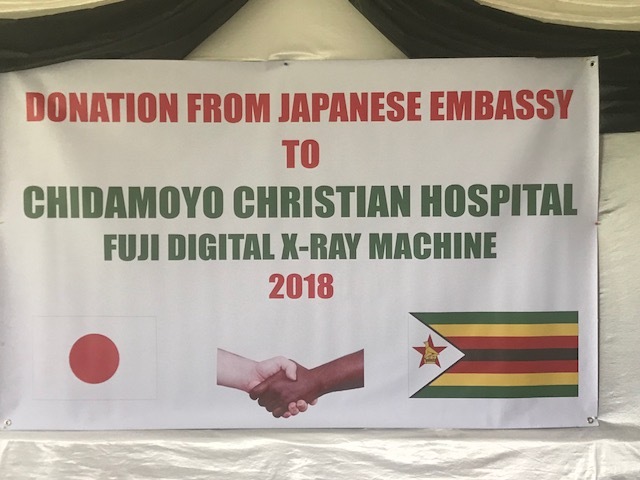 On Friday the 2nd of March we went to Harare to hold a signing ceremony with the Japanese embassy.Last year they approached us and asked if we would like to apply for a Digital X-ray machine and processor under a Grassroots Human Security program they run in Zimbabwe. We were so excited and spent 4 months going through the application process including them coming to assess the need here at the hospital.We were so happy to hear a few weeks ago that they had chosen us and approved this here in Zimbabwe and Japan.This is something we have been praying about for a year. 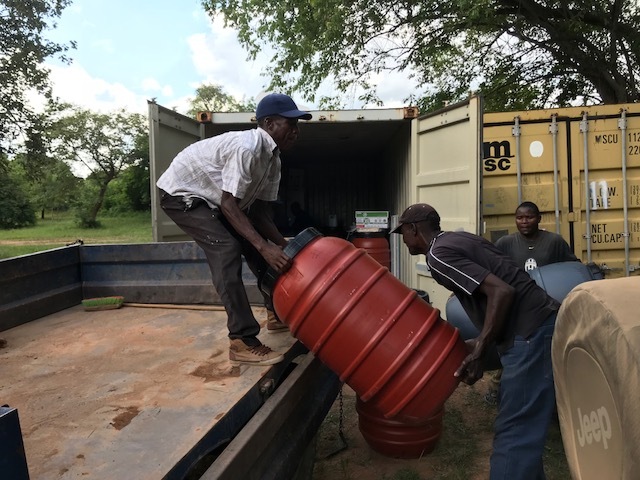 This machine will mean our X-ray that now costs $20 for one will cost pennies!No more buying film, fixer and developer and having to transport it from Harare to here.This will be a massive savings for our hospital. We will also be able to take more than 1 view whereas before the patient could not afford to do this at $20 a film.Now we can take more angles which makes it easier for us to diagnose our patients.